Although Chrysler is the parent company of Dodge, drivers still call their vehicles Dodge and it makes no difference what name is on the company stock. Dodge engines especially the 2.7L are very popular on the remanufactured engines market. Part of the reason that the 2.7 liter engines are so popular is the fact that they boast 225 horsepower for a sedan car. This is unheard of power and many automakers have yet to challenge Dodge on this feat. Dodge cars line the roads of the U.S., Canada, Mexico and Europe. We have a huge stock of 2.7L Dodge engines for sale that we ship to these locations on a daily basis. Our inventory consists of several versions of the 2.7 liter engine. We buy and sell new engines, used and remanufactured Dodge engines. We give our customers a variety of options to find the engine that they need. Many first time customers are shocked that our prices are so low for our huge inventory of engines. We know that paying a high price does not always mean you are getting high quality. Regardless of how low our prices are, you get an excellent engine that is a perfect fit in Dodge vehicles that use the 2.7L engine. When we say we have excellent engines we mean it. We hire only the best engine mechanics to rebuild the engines that we buy. We don’t have to motivate our mechanics to do a great job. Our experts love what they do and we love the work that they complete. Building an engine is not easy especially when it is used. Parts go bad, oil can leak and engine heads can be in bad shape. If we know that an engine has problems, we don’t buy it and instead put our money into a better product. 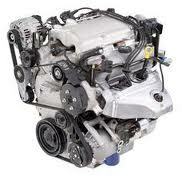 The remanufactured Dodge engines that we buy are used and already in great shape. Our engine mechanics overhaul them to make them shine like new. Every engine that is sitting in our inventory comes with a 36-month warranty. That means no questions asked, no hassles or complications should you experience an issue. We provide you with a great engine and are prepared to stand behind our products. You’re not dealing with a sleazy insurance company when you become our customer. We treat you right and make sure that any problem that you have is fixed or replaced quickly. Your personal satisfaction is our most treasured reward and we feel great when you are happy with your engine. We know you are extremely interested in the price of our 2.7L Dodge engines for sale before you buy. No problem. Enter your information into our engine quote system to get our price by email. Speak with our helpful engine specialists at 1-877-630-3837 if you have a question or want to get our price delivered by phone. It’s fast. It’s easy and doesn’t cost you a penny. Contact us. You won’t be disappointed.